Take a look at our handy bakers bundle. If you love spending time in the kitchen with a mixing bowl and wooden spoon then this is the bundle for you! We’ve taken all our favourite vegan baking supplies, as used by bloggers, nutritionists and budding chefs, and put them all into 1 handy bundle, saving you time and money. Release your inner chef and prepare to make some delicious snacks and treats for you, your friends and family! 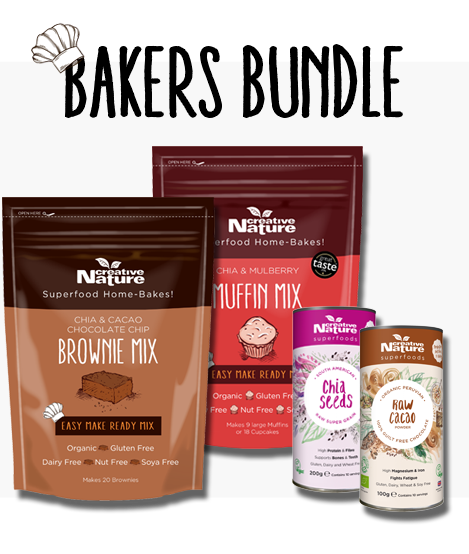 It is now super easy to do with this Creative Nature Bakers Bundle! Chia Seeds 200g – Great vegan replacement for eggs when ground up and soaked in water. 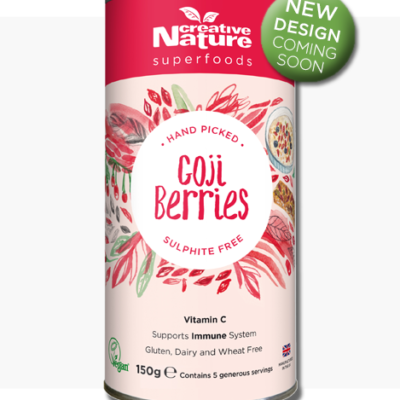 Also adds some lovely texture to breads, brownies, muffins, pancakes and is high in Fibre and Protein! 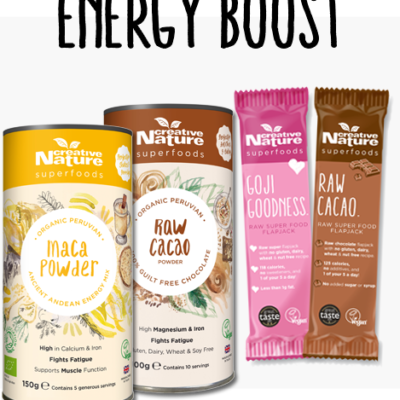 Organic Cacao Powder 100g – Use as a dairy free, lower fat, higher nutrient alternative to cocoa powders in brownies, cakes, ice cream and hot chocolates! Organic Chia & Cacao Brownie Mix 400g – A versatile brownie/cake mix that caters for everyone. 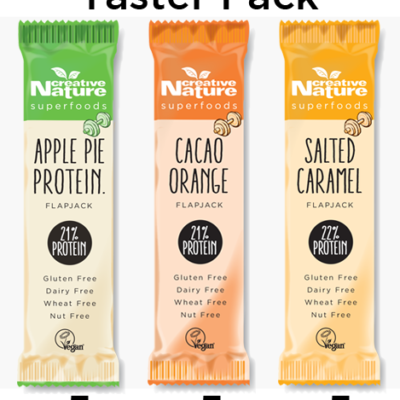 If you’re vegan, coeliac, raw diet or just want a healthy way to indulge with a gooey and chocolatey brownie, this is for you! Organic Chia & Mulberry Muffin Mix 400g – A versatile muffin/cake mix that caters for everyone. If you’re vegan, coeliac, raw diet or just want a healthy way to indulge, these beautiful muffins are a must to try out! The mixes are easy-to-make and include a regular and vegan recipe on pack. All you have to do is add butter, eggs and vanilla if you’re not vegan and if you prefer to avoid animal products- follow the simple steps on pack to make these beautiful brownies and muffins vegan! Bake for 25 minutes in the oven and indulge with friends and family without feeling guilty! 🙂 Chia and Cacao Powder can easily be added to smoothies, porridges, granola and baked goods! What an amazing set of products. I’ve tried other similar products and found the taste to be inferior. You can really tell the quality of this pack and it has probably the best taste in the market. Highly recommended!